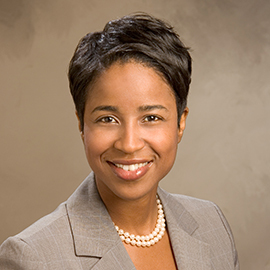 As part of the firm’s litigation team, Ms. Johnson-Sardella represents public/private companies and brokers in matters involving both investigations and proceedings brought by the U.S. Securities and Exchange Commission (“SEC”) and self-regulatory organizations, including the Financial Industry Regulatory Authority (“FINRA”). She also represents our corporate clients in their general business matters as well as matters involving the protection of their intellectual property assets. Ms. Johnson-Sardella has drafted and negotiated patent licensing agreements and registered several trademarks for our domestic corporate clients. She has also counseled our Chinese corporate clients in matters concerning U.S. Trademark infringement. Ms. Johnson-Sardella has successfully prosecuted and defended several commercial litigations at both the state and federal court level, including matters involving international parties and foreign nations. She has also handled several FINRA arbitrations and counseled our Chinese corporate clients on matters concerning SEC investigations. Prior to joining Hunter Taubman Fischer & Li, Ms. Johnson-Sardella practiced real estate law at a major regional firm in Miami, Florida. She also served as a criminal prosecutor in New York, where she conducted numerous hearings and trials.